Phew! May sure was a busy month, and I dropped the ball on posting a new mini challenge, so let’s hit June strong! This month I’ll be joining a rapidly growing movement to do away with single use plastics, and even more specifically, the single use plastic straw! There has been a lot of press lately about the environmental impact of straws so you may already be familiar with the facts. If not, don’t worry, I’ll outline some below! I joined the movement away from single use plastic straws in March, and am excited to have many more of you join me! Joining the anti-single use plastic straw movement! 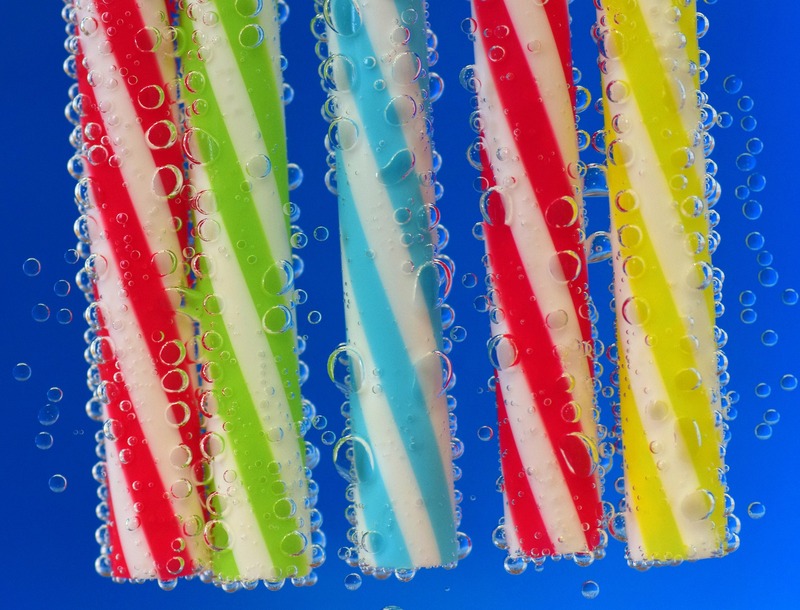 So…why should you avoid using single use plastic straws in June (and hopefully beyond)? For starters, plastics don’t biodegrade, they photodegrade. I’ve discussed this process earlier in the year, you can read more about it here. This means that straws used for twenty minutes spends decades, centuries or longer in landfills or littering natural spaces. Unfortunately, while the plastic that most straws is made of is recyclable, it can be difficult to find places that accept this type of plastic. When straws are included in general plastics recycling bins, they are so small that they become difficult to sort and are frequently skipped over in the recycling process. Additionally, when using straws in restaurants you have no control over disposal method. Besides a few medical conditions, there’s no real reason why anyone NEEDS a straw. But they’ve become ubiquitous and expected in 2018. By avoiding or refusing straws, you can help reduce the volume of single use plastics that end up in our landfills, oceans and other outdoor spaces. It is estimated that approximately 500 million straws are disposed of EVERY DAY in just the United States. That’s about 1.5 straws per person per day, just in one country. Participating in this challenge means 45 fewer straws per person enter landfills/elsewhere in the month of June. Adopting a no straw philosophy translates to nearly 550 fewer straws disposed of in a single year by a single individual! Decreasing the number of straws that find their way to the ocean can help lower the number of sea birds and other ocean animals killed by plastic pollution each year (estimated at around 1 million birds and 100,000 other animals). Unfortunately the majority of plastic products are never recycled, meaning that by avoiding using single use plastics in the first place, you can reduce the amount that end up in landfills and as litter in natural places. Those plastics that do find their way to the ocean, like many straws, are ingested by ocean animals including fish. Before ingestion, plastics can absorb toxins. Once ingested, they can move up the food chain and become present in human food sources. Keeping straws and other plastics out of natural environments helps to decrease the number of toxins in animal-based human food sources. Positive impacts don’t stop at the environmental level. There are clear economic benefits for restaurants and shops that use a “straws upon request” policy. When shops adopt this philosophy, straw use drops between 50 and 90 percent! This saves companies and consumers money while decreasing the impact made by manufacturing, transporting and disposing of plastic straws. Easy! Refuse the straw! All you need to do is skip the straw when grabbing food or drink on the go or at home, or letting your server know you’d like to hold the straw with your drink or smoothie order. Skipping the straw is easy, free and makes a huge difference in your environmental footprint. Buy a reusable straw to use at home or on the go! Options include stainless steel, aluminum, glass, paper and bamboo. You can click an image below to purchase any of these options on Amazon. Decrease overall eating out or on the go. By preparing food and drinks at home, you can easily skip a straw, use a reusable straw and use other reusable packaging options. When you do eat out, choose restaurants that already have a “straws upon request” policy. The Last Plastic Straw has a great restaurant directory, or you can give your local favorites a call. Participate in a clean up project to clear littered plastics from beaches or other natural spaces. Good luck on this month’s challenge! I’d love to know how the year of reduced impact is going for you – leave me a comment! As always, I’ll be updating Pinterest, Instagram, Facebook and Twitter with tips and accountability this month. And make sure to subscribe to make sure you hear first and can plan for July’s challenge!